New York Distilling Co. is dedicated to creating distinguished spirits one batch at a time. Based in Greenpoint, Brooklyn, it’s their creative approach to their products which sets them apart. New York Distilling Co. builds on the American traditions of distilling by offering a contemporary twist on heritage styles of spirits. 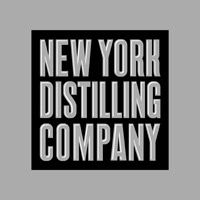 They are also a proud New York State distillery - using only organic New York corn and rye in their production.